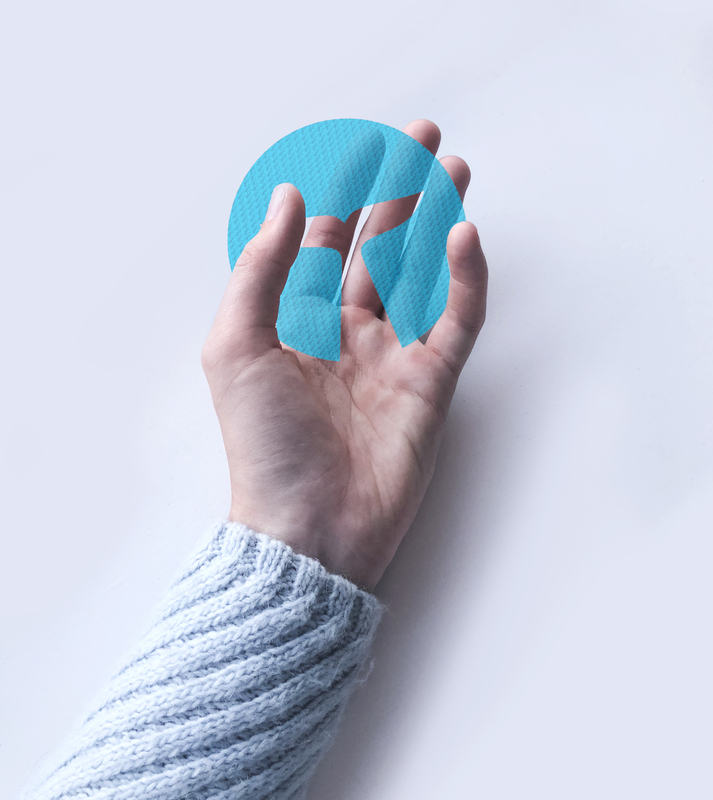 To drive awareness of our platform, we handed over the wheel directly to the creators who could curate breathtaking results - with only our logo for inspiration. Throughout Whalar’s history, we have had the privilege of working on our fair share of campaigns. This means we are well versed in collaborating with a multitude of different brands. What this has taught us is that, as campaigns vary, so do the briefs. As not all brands desire the same content, many briefs have to adapt to suit the needs of both the brand's ambitions and content creator's artistic authenticity. One aspect of our industry, however, remains the same - that the best content and most creative work comes from a brief that gives the creative freedom to do what they do best. This won't work on every campaign, sometimes our creators need to create within a tight brief, but we know their eyes light up when you give them an opportunity to get creative. When this happens, content becomes varied, dynamic and ultimately relevant to the contemporary brand and consumer. And when it came to running our very own campaign, #MyWhalarTale, this was very much the case. What was the initial idea behind the #MyWhalarTale campaign? I'd been inspired by the #MyInstagramLogo series run by our partners at Instagram, whereby creators recreate the logo in their own unique way, and we wanted to add an extra layer to that by incorporating captions too. Thus the word play on 'tail/tale' was conceived. We approached a selection of artistic influencers to recreate our logo, and tell us their 'tale' of working with Whalar. What did Whalar want to achieve through this campaign? 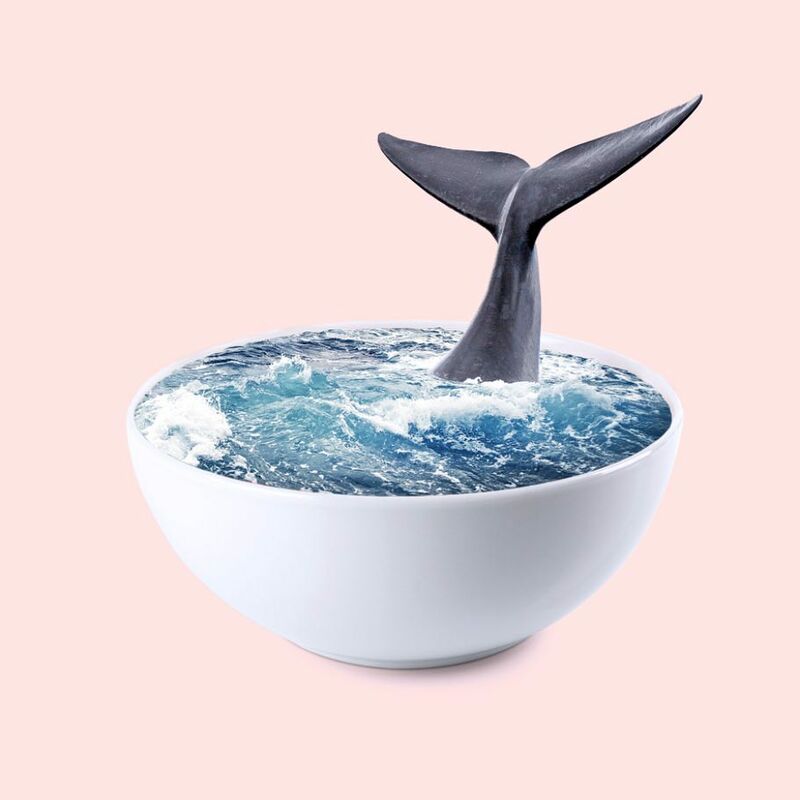 We really wanted to practice what we preach here at Whalar, so we set about thinking of a way to promote Whalar creatively through the use of influencers from our very own platform. 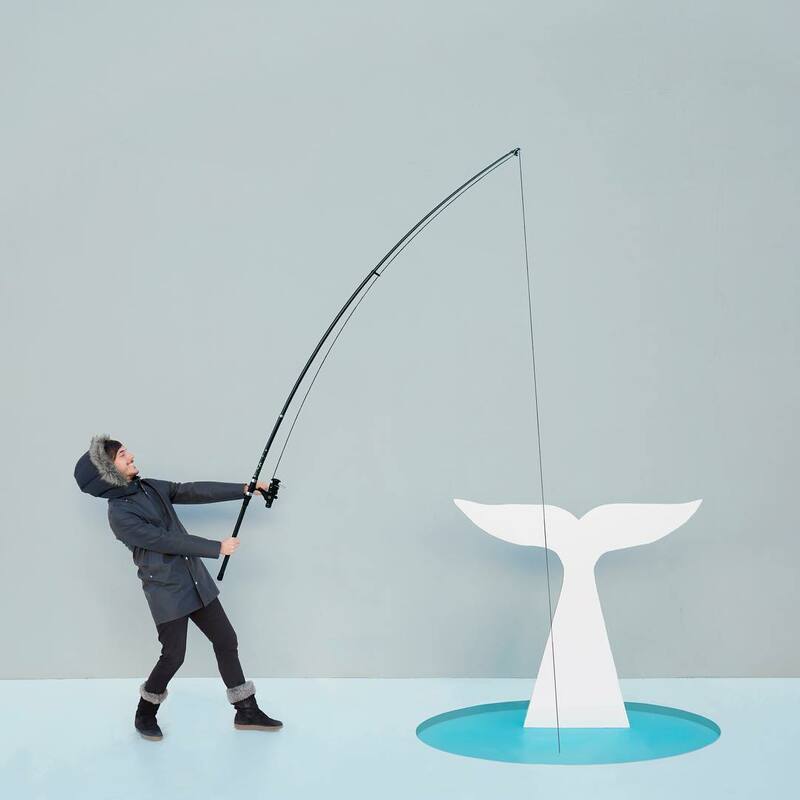 Our initial goal was to create a bank of assets that the influencers share, and that we were able to use on our own Instagram channels, as well as promote Whalar to a wider audience of creators. 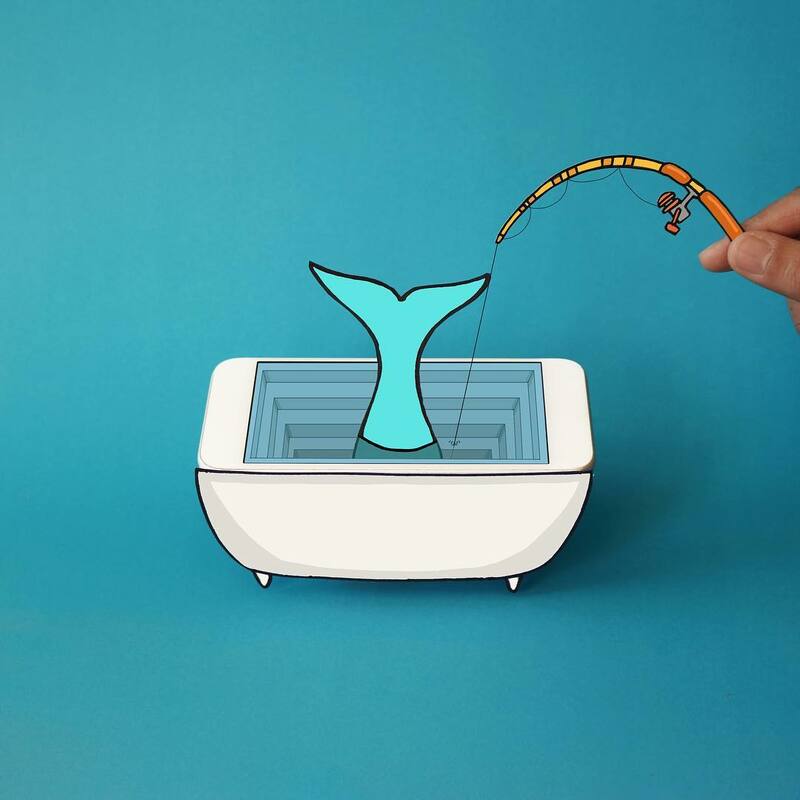 Although every campaign is different, how do Whalar continue to inspire the best content from their creators? For a campaign, it's all about a really great brief. Something that ignites an idea within a creator, and then gives them space to create. In general, it's about creating a community that really fosters creativity and artistry. In the content and community team, we always strive to empower the influencers that come to Whalar to flex their creative muscles, whether that is taking part in #MyWhalarTale, or our monthly #ObjectProject challenge, or through writing for our digital magazine, Studio. What makes content stick out for you? Someone taking a risk. Unfortunately, Instagram can sometimes be a bit repetitive, so it's always refreshing to see someone trying something new - even if it hasn't been perfected just yet, because those parts make it even more interesting. As Chelsea highlights the importance of combining a tailored brief with a strong sense of community, so does another of our creatives we collaborated with. We contacted Fajar P. Domingo for his thoughts on the campaign, the brief, and the inspiration behind his interpretation. We loved your version of our logo. Where did the inspiration come from? I've always loved flower/garden themes. They represent calm within my mind as flowers are always defined by happiness and beauty. Since Whalar have connected me to an established clientele (my first project was with DIOR), you guys have been amazing people to work with. Very easy to communicate with and fast to respond (which helps massively as English is not my native language). Everyone at Whalar brings me happiness. 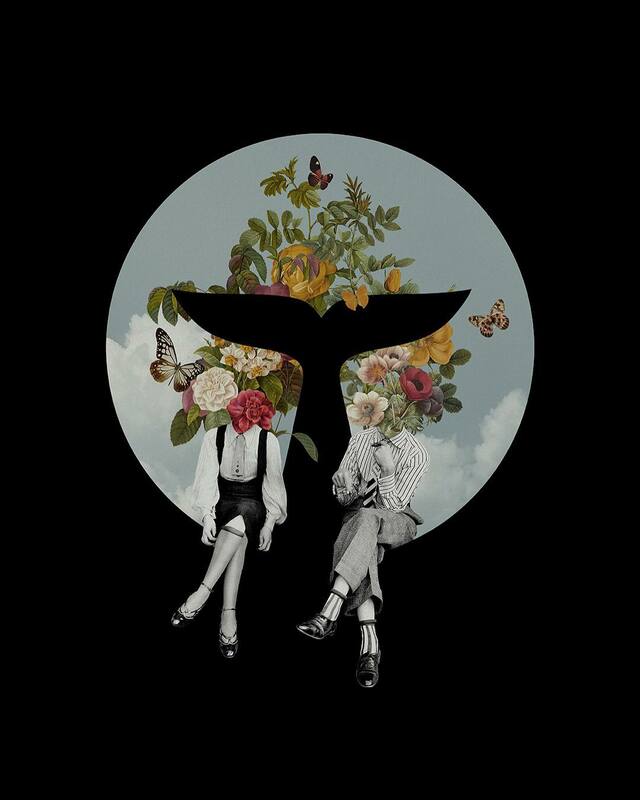 The two people sitting on a logo not only represent myself and the Whalar team. They also represent Whalar and their client. Sitting next to each other, talking about how they can create beautiful things by engaging their audience with content creation. I do believe great design is when we don't need to explain to the audience what's going on. Whalar’s creators understand this message and each of them has conveyed their own emotion within their interpretation. What draws you to content creation? Simply that I want to share my feelings with the world, not with words but images, so my audiences can feel what I feel. And social media is a powerful tool to do just that. As one creator spoke of his love of creative freedom, another conveyed how artists have the distinct ability to translate compelling messages through their work. A member of our Whalar Stars, Caroline South has continuously produced high quality, varied content for us. Caroline is no stranger to diversifying her media of choice - but in this case, the powerful simplicity of her chosen artistic medium shone brightly across our platform. I loved the sustainable message behind your content, can you tell me a little more on what inspired you to make that particular piece? 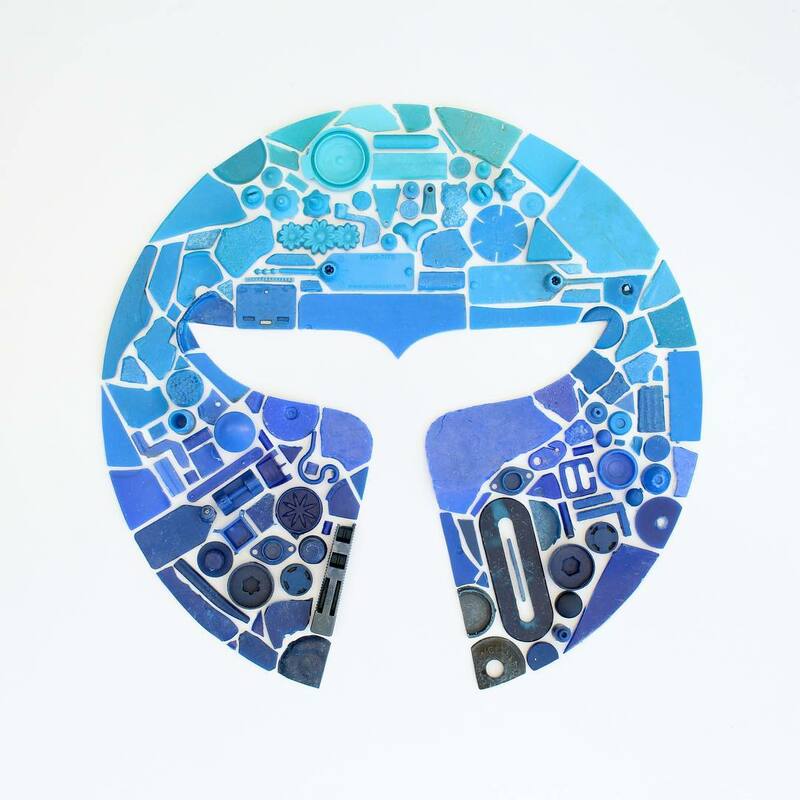 Because the Whalar logo features a whale tale, I was inspired to use plastic I have collected from various beach cleans as a way of highlighting the marine litter crisis. I often use collected beach plastic within my images, which I portray in a gradient, therefore it felt like I was maintaining my own style. I hope that by sharing the plastic I find, I am drawing attention to how much is washing up on our beaches and the huge problem of plastic pollution. When collaborating with brands, how do you best maintain your artistic independence? I think firstly I look at the brand and product and only accept those that would fit with my aesthetic, because that is important to me. I would then try to incorporate the product using my preferred colours and shapes, flat-lay style and include natural objects if possible. Currently, who / what are your biggest creative influences? Colour is a constant source of inspiration for me. Also the objects I collect when beachcombing, the way they can be arranged, either in shape or colour order, will determine the final layout. What do you enjoy most about creating content? I love collecting and gathering all the props needed to use within my images. That may be natural objects and beach finds or objects I need to create or transform, such as cutting paper shapes or spray painting items. Caroline’s passion for her work directly underlines Whalar’s ability to encourage our community's creativity, rather than stifle it with bureaucracy. This is another key difference which separates Whalar from other platforms, we would never ask our creators to be anything other than themselves. Our continued investment in the authenticity of content is crucial; as is never attaching an influencer to a brand they would never naturally collaborate with, or the other way around. As Whalar seeks to evolve and gain new audiences, it is always refreshing to be reminded of the creative talent that is at the click of a button. As our community seeks to be liberated, we remain loyal to their wishes - and our matchmaking process continues to link tailored campaigns with engaging content. #MyWhalarTale proved no different by showcasing the immense talent we have at our fingertips.